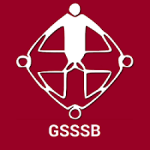 GSSSB Clerk and Office Assistant Recruitment 2019: To all the eligible candidates, Gujarat Secondary Service Selection Board invites 2221 vacancies for the post of Clerk (1992 vacancies) and Office Assistant (229 vacancies). The applications for the GSSSB recruitment 2018 are to be submitted online with keeping in mind all the necessary details. Moreover please ensure that you keep all the legit documents handy with you while applying for the GSSSB Recruitment 2018. Candidates are requested to visit the official GSSSB website @ https://ojas.gujarat.gov.in to know more about the recruitment. Please ensure that you keep all these evidences / legitimate documents while applying for the GSSSB Clerk recruitment 2018 and GSSSB office assistant 2018. While filling the application please mention the accurate mobile number as all the important notifications would be provided to you via SMS. Candidates need to have basic computer knowledge. If received a degree or course in computers, please get the accredited certificate from the institute. Also if the course or degree is completed under a government institute then the degree certificate with mark sheet would be required. Candidates who kept computers as a subject in their 10th or 12th standard can get the final mark sheet that reflects the marks and subject accordingly. But also these candidates need a certificate which proves to have a basic computer knowledge. If there is no certificate or document that proves of having a basic computer knowledge then the application would be rejected on the spot. Please note that the applicant must know either Hindi or Gujarati language. 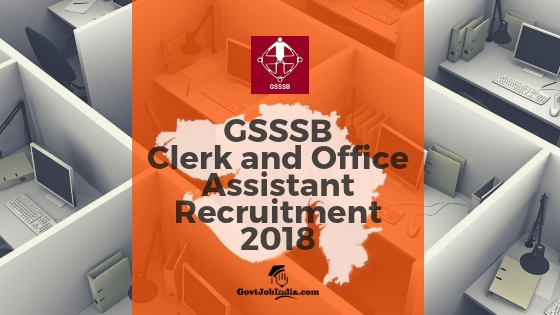 A minimum of Higher Secondary School Certificate (12th pass) is required to apply for the GSSSB Clerk recruitment 2018 and GSSSB office assistant recruitment 2018. For further details regarding education qualification please refer to the official PDF that we have attached to the end of the article. The salary for five years would be fixed as Rs.19950 with added benefits. Please go through the official pdf to know more on the same. As per 2nd November 2018, the candidate must be of 18 years old minimum and the age must not exceed 33 years. A female candidate that belongs to the general category gets an age relaxation of 5 years for both the post of clerk and office assistant. Age relaxation for categories other than general is 5 years for men and 10 years for females. If there are no vacancies available for a particular category then one must not get an opportunity for the same. Further the age relaxation is different for physically challenged candidates from other than general categories. Candidates are requested to check the official pdf thoroughly. Ex-servicemen applying for the vacancies with a physical disability would get more benefits with the age relaxation. But the certificates or documents to be provided must be legit and supported by the superintendent /civil surgeon/ medical board. Apart from ex-servicemen, no other category would get an age relaxation that exceeds 54 years. Please check the official pdf to know more on age relaxation. Please note that the applications for GSSSB clerk recruitment 2018 and GSSSB office assistant recruitment 2018 will be accepted online only. Candidates are requested to note the date and time for online applications. It begins from 12th October 2018 – 2:00 PM to 2nd November 2018 11:59. In case a candidate applies for more than 1 vacancy then the last one would be considered and the rest will be rejected. Application fee if is not submitted with the last application among multiple applications then the last application with fee will be considered. Multiple fees paid for multiple applications will be refunded and only the last one with fee will be accepted. The Application fees is Rs.100 + Rs.12 (postal charges). Kindly check the pdf attached for further details on application fees. From “Select Advertisement by Department” please go for “GSSSB” option. After that please select the recruitment code 150/201819. Enter all the details correctly like name, your contact number, language selection, and education details. Please note that if there is any discrepancy with the details provided then the application will not be accepted under any circumstances. Candidates can comment below in the comment section and address any doubts they may have regarding this GSSSB Clerk and Office Assistant Vacancy.